The latest results from a 25-year study of diet and aging in monkeys shows a significant reduction in mortality and in age-associated diseases among those with calorie-restricted diets. The study, begun at the University of Wisconsin-Madison in 1989, is one of two ongoing, long-term U.S. efforts to examine the effects of a reduced-calorie diet on nonhuman primates. "We think our study is important because it means the biology we have seen in lower organisms is germane to primates," says Richard Weindruch, a professor of medicine at the School of Medicine and Public Health, and one of the founders of the UW study. "We continue to believe that mechanisms that combat aging in caloric restriction will offer a lead into drugs or other treatments to slow the onset of disease and death." Restricting the intake of calories while continuing to supply essential nutrients extends the lifespan of flies, yeast and rodents by as much as 40 percent. Scientists have long wanted to understand the mechanisms for caloric restriction. "We study caloric restriction because it has such a robust effect on aging and the incidence and timing of age related disease," says corresponding author Rozalyn Anderson, an assistant professor of geriatrics. "Already, people are studying drugs that affect the mechanisms that are active in caloric restriction. There is enormous private-sector interest in some of these drugs." The discrepancy may be a result of how the feeding was implemented in control animals in the NIA study, say the Wisconsin researchers. Ricki Colman, a senior scientist at the Wisconsin Primate Center, who presently co-leads the project, suggests that NIA's control monkeys were actually calorie-restricted. "In Wisconsin, we started with adults. We knew how much food they wanted to eat, and we based our experimental diet on a 30 percent reduction in calories from that point." In contrast, the NIA monkeys were fed according to a standardized food intake chart designed by the National Academy of Science. Through their own experience in monkey research, and by reference to an online database recording the weight of thousands of research monkeys, the Wisconsin researchers concluded that the NIA controls were actually on caloric restriction as well, says Colman. "At all the time points that have been published by NIA, their control monkeys weigh less than ours, and in most cases, significantly so." Weindruch also points to some results from the NIA that seem to contradict the "no significant result" analysis. 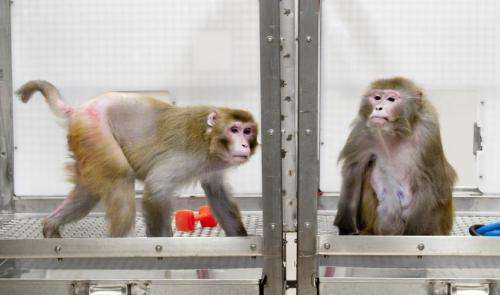 Twenty monkeys entered the NIA study as mature adults, 10 in the test group and 10 in the control group, and five of these (four test monkeys and one control monkey) lived at least 40 years. "Heretofore, there was never a monkey that we are aware of that was reported to live beyond 40 years," Weindruch says. "Hence, the conclusion that caloric restriction is ineffective in their study does not make sense to me and my colleagues." Each of these studies cost millions of dollars and took decades to perform, and they are unlikely to be repeated, says Anderson—so all involved are trying to extract the maximum science from them. "We are now working with the NIA scientists to perform a comprehensive analysis of all of our data, taking into consideration the differences in study design, genetics, time of origin and composition of the diet. It's possible that insights we could not get from the individual studies will emerge from this aggregate data." Caloric restriction became something of a fad two decades ago, when a few individuals set out to cut their calories by 30 percent to slow the diseases of aging, but the Wisconsin and NIA studies have a much broader focus. "We are not studying it so people can go out and do it, but to delve into the underlying causes of age-related disease susceptibility," says Anderson. "It's a research tool, not a lifestyle recommendation, but some people get caught up: 'What if I did caloric restriction?'" Many of the benefits of caloric restriction are linked to regulation of energy, Anderson says. "It affects how fuel is utilized. Caloric restriction essentially causes a reprogramming of the metabolism. In all species where it has been shown to delay aging and the diseases of aging, it affects the regulation of energy and the ability of cells and the organism to respond to changes in the environment as they age." Chief among the metabolic deficits is diabetes, which can be seen as "an inability to properly respond to nutrients," Anderson says. Diabetes damages fat, muscles, blood vessels and even brain functioning, and the growing epidemic of diabetes is a leading cause of death and disability in the United States. The Wisconsin scientists began to see diabetes among the control animals while they were still in the prime of life, within six months after beginning their study. The contrast with the restricted animals could not have been more dramatic, Colman says. "Until two years ago, we did not have evidence of diabetes in any caloric-restriction animal, but we had a significant numbers of diabetes, or pre-diabetes, metabolic syndrome, in the control animals." Very few people can tolerate a 30 percent reduction in calories, yet Weindruch insists the Wisconsin study carries an optimistic message. "The basic biology of caloric restriction in rodents, worms, flies and yeast seems to carry over to primates, so we have a real opportunity to dissect that mechanism, look at how we can work with that basic biology, and benefit all those human primates who are so closely related to our rhesus monkeys." It seems counterintuitive that a reduced calorie diet would lead to a longer, healthier life. Wouldn't your body benefit from getting the full range of nutrients and calories throughout your life? "Caloric restriction essentially causes a reprogramming of the metabolism." I think our bodies are like an engine, and the more fuel we consume the more wear and tear there is on our bodies. Its as if processing more food leads to aging, and eating less leads to a more efficient body, thus a longer lasting one. It seems counterintuitive that a reduced calorie diet would lead to a longer, healthier life. Why? Reduced calories doesn't mean 'reduced to the point of starving'. The increased efficiency of the metabolismis one thing, but you also need to consider that there are probabilistic illnesses (like cancer) - the chance of contractinc which directly relates to the amount of cells you have, the amount of mutagens in you ingest,and the number of cell divisions your cells undergo (all of which are higher in an individual without caloric restriction). Within reason. Restrict your caloric intake too much and you suffer ill effects in other areas (malnutrition, nerve/muscle degeneracy,...). Consider we probably evolved to 1) feel hunger. 2) act on that hunger and seek food. 3) after work we get food and eat it, reducing our hunger a few hours after first feeling the hunger sensation. So evolution programmed animals and humans to feel hunger several hours before the most ideal time to eat as compensation for the time it would take us to acquire food to eat while motivated by hunger. Having the ability in modern civilization to immediately eat our fill at the first sensation of hunger is unnatural and unhealthy by this reasoning. Ideally for optimal health and an enriched environment animals and people should have to physically work to get food for a few hours after the first feelings of hunger. p.s. managers of business operations love the "work for your food" diet and researching the social engineering needed to make it practical as a way to get more productive workers. So, we need to strap our McDonalds combo to the back of an RC Car and chase it for 30 minutes for each meal. Got it! If you make me do something mind intensive right before lunch, with an empty stomach, I will perform much worse, make more mistakes, and get frustrated easily. After I eat I can focus much better. You need food onboard to think intensely! I agree with you kind of. I think it might seem that way if you don't live a food stressed diet lifestyle. But physical work also seems harder on an empty stomach so the physical vs mental assumptions are more similar than you're argument suggests. Also people who have lived though food stressed portions of their life claim that when you're hungry all the time the mind naturally turns to ways you can get food and it becomes almost impossible NOT to "Think" about ways to get food. It may be you mind is distracted from working on an empty stomach because your thoughts are focused about getting food and that is competing with thoughts about doing the job. If management gave you food only on condition of good thinking for a few hours before serving time but after you feel hungry, that would be the optimal solution. It would have to be a credible motivator, so some failures in feeding due to a few mistakes are actually beneficial to the training and help in motivation. the RC Car strategy would work, but the time can't be exactly 30 minutes or it fails to work as a reward because you'll just sit their for 30 minutes watching the RC Car from your couch. The time should depend on how fast your run or how much distance you run and their should be some random variability in how long or fast or clever you need to be to catch the car. If you perform well and run really fast and circle around it then maybe you can catch it in 10 minutes and get food early. If you are slow or stupid you have to run for an hour most of the time. it's interesting that the NIA test monkeys are all on food restricted diets as stated in the article. I doubt they would make the effort to think for monkey intelligence tests if they could simply walk over to a McDonalds at any hour of the day and get a combo meal without thinking. I would be extremely annoyed if my employer played games with my desire to eat. I am not a robot and I do not need some primal motivation to "increase productivity". Who wants to go to work and hustle hustle all day, we weren't meant to work like that. And I will eat when I am hungry, and management can go screw themselves. I like your argument. I use the analogy that if food is like gasoline in a car, then adding extra food when it's plentiful is like filling the trunk of the car with gallon cans of gasoline for when you need it later. A car overloaded past it's intended carrying capacity with a trunk full of reserve gasoline storage in 1 gallon gas cans will break down due to excessive weight load. Wheel bearings wear faster, a sudden stress event might cause the axle to break, tires wear out faster, the engine has to work harder to go up a hill and the breaks have to work harder to go down a hill. Yeah, I'd find that pretty annoying too. Employers playing games with my food is a scary idea that can lead to a lot of bad things. It would be better for me, but I wouldn't like it. Mostly I don't trust management to use the food motivator for my best interest. They don't seem to manage well as it is so giving them more power would be a social problem. Maybe if we we made manager solicit employee approval vouchers after lunch it could work. Suppose after the subordinates have eaten the manager has to go around and ask each employee for an anonymous voucher and the managers percent approval rating determines how fast his RC Car is or how much food gets put on it. Imagine a terrible manager chasing an RC car for half an hour and then finding out the bag is empty because he's a terrible person? It might solve some management problems if used well. Here's an interesting idea. What if you could build a semi-intelligent computer program to drive the RC Car so it wasn't under management control? Maybe you program it a week in advance to vary it's speed and difficulty to achieve a certain weight goal. You would then be extremely annoyed at yourself for programing it to be too difficult a week ago. This would function as dietary commitment device ( http://en.wikiped...t_device ). the point I'm trying to make is that food is a great motivator and you could use in lots of ways to motivate yourself to exercise, or finish tasks. People do that sort of thing all the time when we say to ourselves we'll finish this task before taking lunch. The problem is that human nature lacks the ability to keep a commitment we logically know is in our best interest in the long term when confronted by a choice of immediate rewards in the short term. The unnatural availability of unnaturally convenient food is the root of the problem. It's a fundamental fallacy of our society that "convenience and greater availability" are better in all cases. It's simply not true that "convenience and greater availability" are better or natural even though the thought of "wanting things easier and more convenient" is a natural thought. Humans didn't evolve a lymbic system (the motivational portion of the brain) that is well suited to plentiful food or long term planning. The lymbic system tells the cognitive system of the brain what it wants, not the other way around. The lymbic system is very simple without the ability to understand complex thought such as language or reasoning. For example, you can repeatedly say the words "I'm not hungry because eating less is better for me" and it won't affect your hunger level very much or for very long. ps. please rate my comments if you agree so I can win the high score. I'm hungry and need points. The control monkeys on an unrestricted diet with abundant food probably suffered from obesity related diseases, hence is unrealistic. If put on a strict diet with just 30% more calories than the starved monkeys, the outcome might have less dramatic and closer to the earlier inconclusive NIA study. I'm not sure it's accurate to describe any of these as "starvation" diets and assumed you meant the word "caloric restricted" diet. The amount of food was chosen by letting the control monkeys eat as much as they wanted and then subtracting 30% for the restricted diet. NOT by picking a strict diet for the test monkeys and adding 30% for the control group. People, to whom this research is intended to help are existing on unrestricted diets or something closer to unrestricted then the NIA Study. I think this approach is more realistic. We should expect equally dramatic results from people which is the claim of reduced caloric diets that this research is supporting.